Norwegian continues to expand with new routes and more flights on existing routes. In the period April to October, travelers in the Stockholm area will have more opportunities to visit the beautiful Mediterranean island of Corsica when a new direct route to Bastia on the northeastern coast commences in April. Madrid - Nice and London - Kefalonia are also new direct routes starting in April. Kefalonia is a Greek holiday island that has been on the wish list of many of Norwegian's customers in the London area for quite some time. “We see that our customers appreciate Norwegian’s large route network, low fares, new aircraft, free inflight WiFi and friendly service on board. 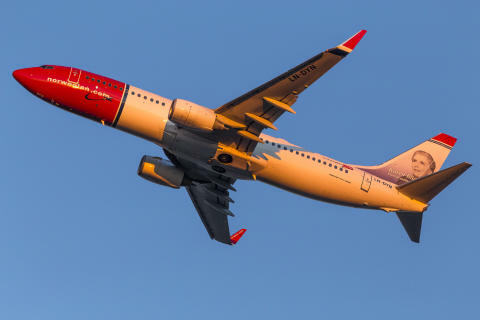 We are pleased to offer even more destinations and departures to well-established and popular destinations,” said Chief Commercial Officer Thomas Ramdahl at Norwegian. In the period April to October, Norwegian also increases the number of weekly departures on the routes Stockholm - Berlin; Oslo – Olbia; Oslo – Antalya; Oslo - Palanga / Klaipeda; Oslo – Pristina; Oslo – Gdansk; Oslo - Riga and Trondheim - Split. One weekly departure on Saturdays starting April 25. Two weekly departures, on Thursdays and Sundays. Starting March 29. One weekly departure on Saturdays - starting April 18.